For years I have been asked to put together a list of positive picture books for boys. 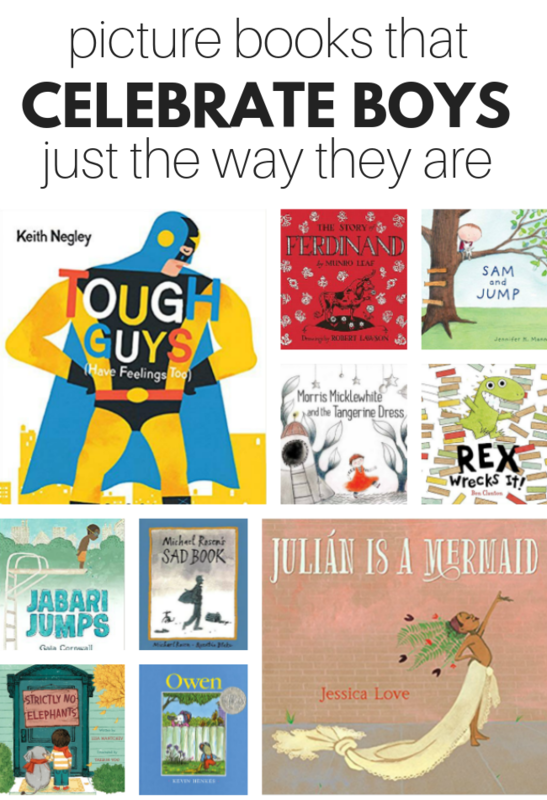 I have struggled with this because there are already so many great books out there for boys, the majority of picture books have boys as the main character, so I never had a real passion to write this list. Then I was on twitter and saw this tweet that said while girls are celebrated for strength and leadership where are the books that celebrate boys for gentleness and beauty? That night I started mentally making this list, life is busy, so it’s taken me six months to get the list together and into your hands but here it is. 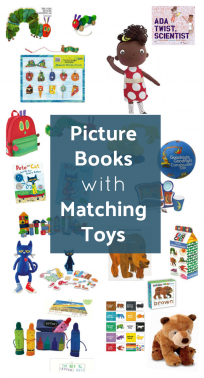 These picture books that celebrate boys celebrate gentle boys, feminine boys, boys that show emotion, boys making caring connections with others, and boys that just do their own thing. 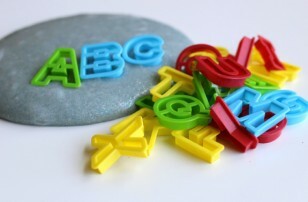 No one boy is all this or that, and no one classroom bookshelf should only support specific traits, my goal with this list is to help fill in the gaps that books with stereotypical rough, rowdy, and mischevious boy characters sometimes leave out. 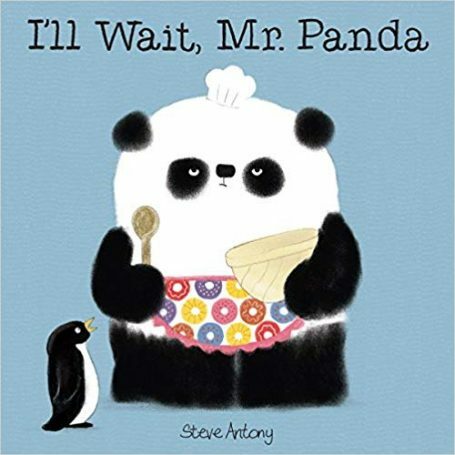 I’ll Wait Mr. Panda by Steve Antony is a precious little book that even the youngest children will love. My students and I read it and talked about how hard it is to wait and be patient. The reason I included this book on this list is that Mr. Panda huge but quiet, and gentle, and wearing what some people would call a feminine apron doing what some people would call a girly activity, baking. He doesn’t challenge the reality of what boys can be just the stereotype which is kind of what this list is all about! 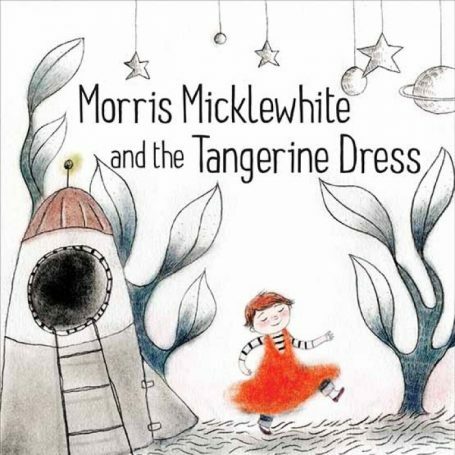 Morris Micklewhite and The Tangerine Dress By Christine Baldachinno. Morris is just who he is. Who he happens to be is a boy who loves to dress up in an orange dress. The adults in the story don’t pass judgment. Instead, the adults support Morris for who he is without labeling or shaming. 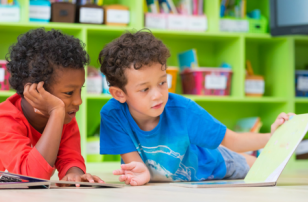 It takes some time for all the children in his classroom to be accepting, but soon their similarities and mutual interests overcame the differences. In the end, everyone plays better together, and Morris doesn’t have to change who he is to be part of the group. 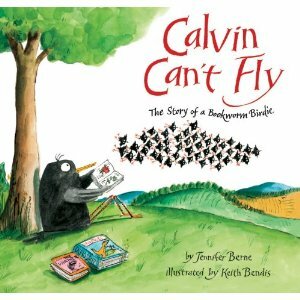 Calvin Can’t Fly: The Story of a Bookworm Birdie by Jennifer Berne is a story about a starling Calvin who can’t fly and really isn’t even interested in learning. Calvin loves books and the library, and while all the other birds are flying in a pack, he is off on his own. The other birds find a way to make sure to include Calvin when they migrate. Soon it is Calvin’s turn to use what makes him different to help the whole flock stay safe from a hurricane! I love that this book showed his strengths and weaknesses and how real inclusion means accepting both in a group. 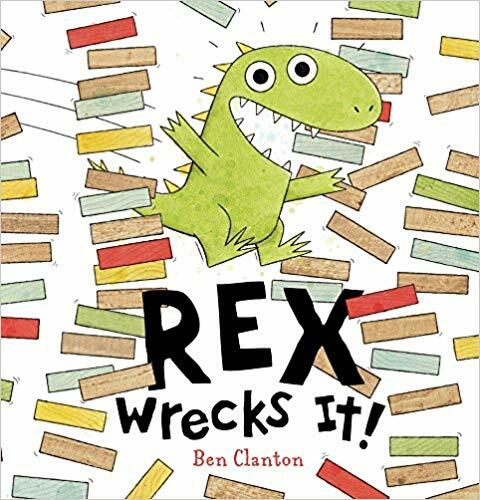 Rex Wrecks It by Ben Clanton is a must read for preschool. 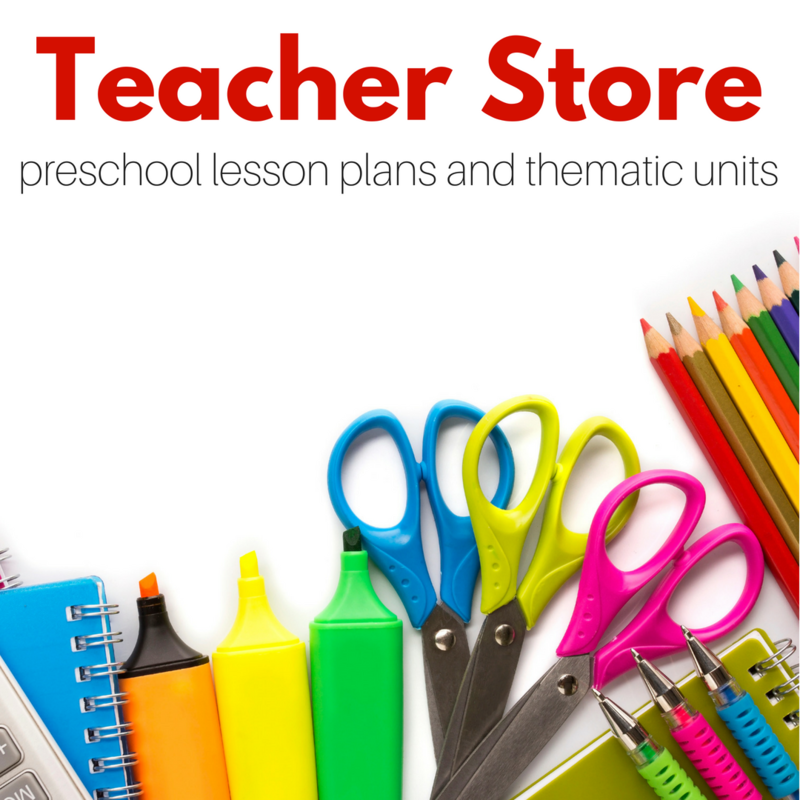 It is all about a little dinosaur who just can not stop himself from knocking down other student’s towers. 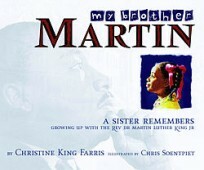 It is a great story because it empathizes with the children on all sides of this situation. The other boys in the book are calm, frustrated by the rambunctiousness but very empathetic towards Rex. Instead of revenge, the others find a way to include Rex. 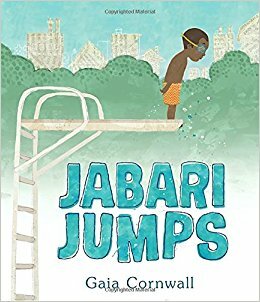 Jabari Jumps by Gaia Cornwall is a sweet little book about thinking you are ready to do something and realizing that the challenge is your own anxiety. In this book, a little boy grapples with this as tries to jump off the high diving board at the pool. It’s OK to be afraid, and it’s OK to keep trying. A supportive father is there to encourage him to try again and help build that resilience that gets him back up that ladder and jumps! The illustrations are amazing, and there is something magical about the high diving board that kids universally see as a huge scary challenge and are immediately invested in Jabari’s struggle. Great book! 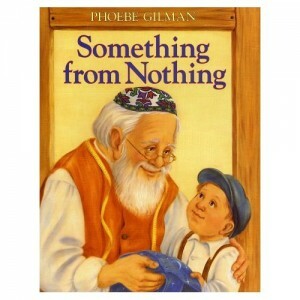 Something From Nothing by Phoebe Gilman is one of those books that you read and think oh I love it, but will kids? I am here to tell you yes! They love this old Yiddish folktale about a little boy, his very special blanket and his grandfather who made it for him. Over the years Joseph’s blanket transforms into a jacket, a vest, a tie, and handkerchief and finally a button. The story is beautiful, and kids love not only the repetitive text when the grandfather is sewing but also the continuing storyline of the mice that live under the floorboards who use the scraps of material for all sorts of things. There are no goofy gimmicks, no lights or sounds just a great story and beautiful illustrations in this gem! A fantastic book about family and growing up. I added this book to this list because while tailors are traditionally men not a lot of children see men sewing, lovingly making things for those they love, and being as gentle and accepting as the grandfather in this book is. 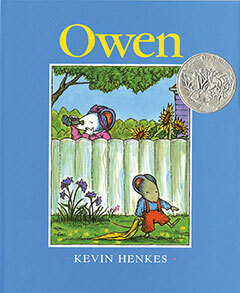 Owen by Kevin Henkes is an old favorite. Owen is a little mouse who isn’t ready to give up his blankie, and his parents are worried about what he’s going to do when it’s time to start school, which is coming up. A nosy neighbor is no match for sensitive parents who don’t try to shame Owen for showing emotions and who find a creative solution for their sweet little mouse. 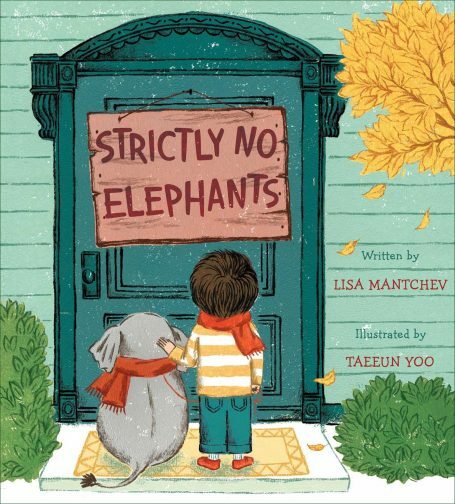 Strictly No Elephants by Lisa Mantchev deserves a post all of its own; it’s that good and that important. This book is about a little boy and his elephant who are banned from the local pet club because well, elephants are not allowed. They don’t share a reason why elephants are not allowed, just that they aren’t. This lets parents and teacher reiterate the fact that sometimes people are excluded for no reason. It’s not about them. It’s about the people excluding them. In the book, after being banned, the boy doesn’t fight it or force his way in. Instead, he finds others who have been made to feel unwelcome, different, and lesser and starts their own pet club. One that welcomes everyone and their pets no matter what. 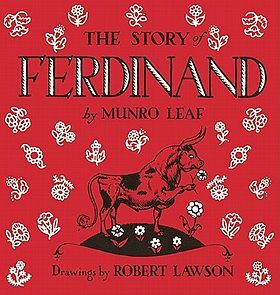 The Story of Ferdinand by Munro Leaf is a classic tale about doing your own thing and not letting any amount of pressure change you. Ferdinand is a bull but just because he is a bull doesn’t mean he wants to fight in the bullring. The other bulls might love fighting, but that doesn’t mean that Ferdinand has to. I love the message this book has about being who you are no matter what environment you are in and that big strong bulls don’t have to be bullies. 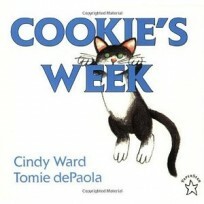 Kids love this book because it’s funny, the text is just the right length, and the illustrations are so expressive. 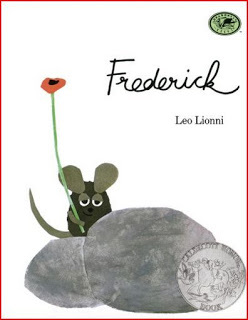 Frederick by Leo Lionni is a fable about the importance of imagination and not exactly fitting in. When all the mice are working hard to gather things for winter Frederick is quietly taking in the sun, and colors they will need to help get them through the dark, cold, hungry days ahead. The other mice don’t see why this is so important until everything they have gathered runs out and they need Frederick and his imagination to help them make it through the gloom. Great commentary about art being vital and accepting other’s who don’t fit the stereotype. 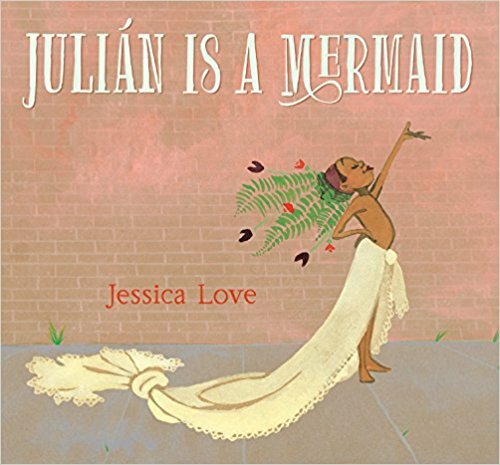 Julian Is A Mermaid by Jessica Love is a world I want to live in where women and children and even chihuahuas can be mermaids if they want to. In this book, a little boy who LOVES mermaids is on the metro with his Abuela and sees women dressed as mermaids, and his imagination runs wild. When he gets home, he transforms himself and when his Abuela interrupts she thinks he may be in trouble, heck we all think he may be in trouble, but the end is far from it. While this book doesn’t overtly address the LGBTQ community the experience of showing a loved one who you are and worrying that they may reject that speaks to the topic as does the fact that Julian is going against gender stereotypes as he dresses like a mermaid. This book is easily one of the best books I have read this year and I read a lot of picture books! GO buy it now! 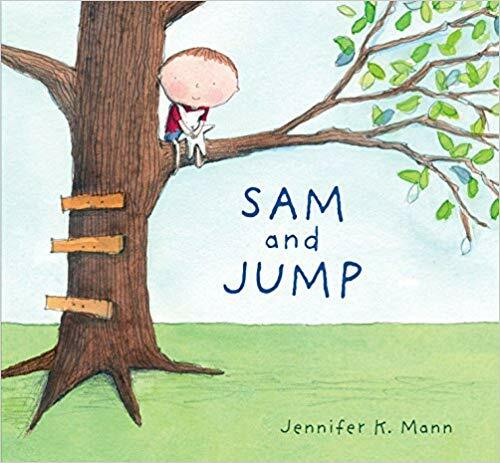 Sam and Jump by Jennifer Mann is a sweet book about friendship, worry, loss, and reunification. A little boy is at the beach with this best friend his stuffed bunny Jump when he makes a new friend and ends up forgetting Jump at the beach. He’s distraught! A new gentle friendship deepens between these great boys and don’t worry. Jump isn’t swept off to sea! 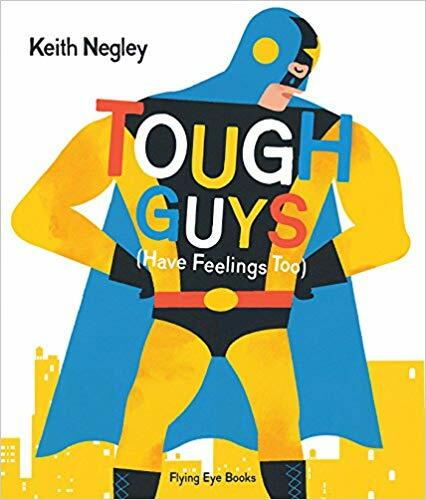 Tough Guys Have Feelings Too by Keith Negley is a gem! This book is all about confronting and breaking stereotypes. From pro wrestlers to tough guys on Harley Davidsons, to homesick astronauts in space, this book’s premise is simple but its execution is perfect! Grab this book; every child needs to read it. Sparkle Boy by Leslea Newman has flown under my radar somehow until now; it’s such a wonderful book. 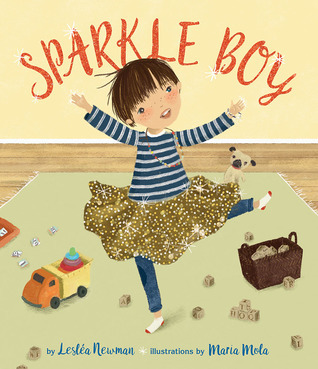 In the book, a little boy who adores everything glittery and sparkly confronts kids who tell him he can’t like what he likes and with the help of his sister who was initially against it too realizes that he gets to decide what he likes not other people. 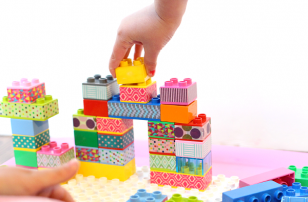 Questioning gender norms is essential if we want children to feel like they can express who they are without sanction and if we want to foster a community that accepts people for who they are as well, this book helps do that. 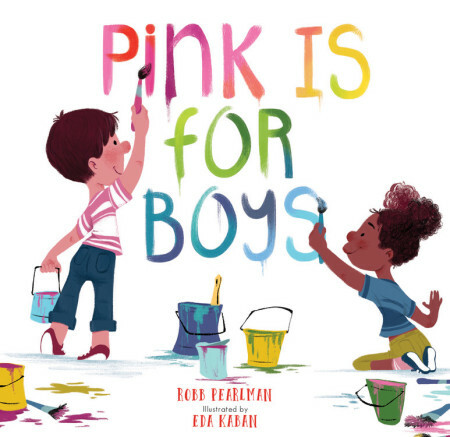 Pink Is For Boys by Robb Pearlman is a simple book about colors and how they aren’t gendered. Pink isn’t just for girls and blue isn’t just for boys. Instead, each color is described as being for both with beautiful, inclusive illustrations that bring this simple book to life. 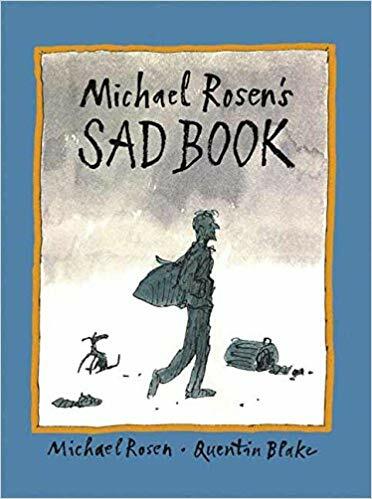 Micheal Rosen’s Sad Book by Micheal Rosen is perhaps the best explanation of depression and grief I have ever read, picture book or not. What is so powerful about this book is that is doesn’t have answers. It talks about one man’s very personal experience with grief and depression that most of us adults will relate to on some level. It is so powerful because it is a man and stereotypically men in books and other media are happy or mad, sadness and grief depression and worry aren’t usually expressed, but they need to be. This is a powerful book; I urge you to find it and add it to your library.